Judge is told that Reagor Dykes plan to stay alive is "pie in the sky"
LUBBOCK, Texas - A bankruptcy judge spent the day Tuesday hearing from Ford Motor Credit and Reagor Dykes. The decision by the judge could ultimately decide the fate of Reagor Dykes. Ford wants to withdraw its money and inventory from Reagor Dykes. The move would effectively shut down Reagor Dykes unless the company can secure another source of funding. Also on Tuesday, RD filed an emergency motion to use outside funding from Bart Reagor, Rick Dykes and IBC Bank. Mr. Reagor and Mr. Dykes would provide the first $1 million of emergency lending and then IBC bank would lend up to $3.75 million. The judge has not ruled yet on Ford’s request or the emergency motion. This most recent back-and-forth between RD and Ford started on Friday. That’s when Ford asked the bankruptcy court to remove bankruptcy protections from Reagor Dykes so that Ford could confiscate its inventory from the various RD locations. Ford also said it does not want to allow RD to use its cash collateral anymore. RD had permission to use cash collateral until January 5 when that permission from a bankruptcy judge expired. On July 31, Ford accused RD of defaulting on roughly $40 million of debt. Ford also accused RD of fraud. Several RD companies filed for bankruptcy the next day and several more filed for bankruptcy in November. 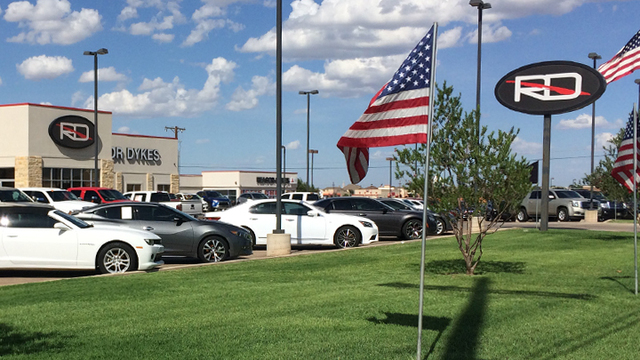 A proposed sale of 13 RD dealerships was called off in November. The rough draft of another proposal was put forward by the McDougal-Dykes-Ewing group. A formal version of the plan was entered into court records on Monday. Among other things, it would release Rick Dykes and Bart Reagor of personal liability from the RD debts. Ford objects to letting Mr. Dykes and Mr. Reagor off the hook, even though the plan calls for 100 percent recovery for secured creditors such as Ford. Unsecured debts, however, are not guaranteed to be paid back under the plan. In a court hearing Tuesday, Ford referred to the McDougal-Dykes-Ewing plan as “pie in the sky.” Ford also accused RD of using plan as nothing more than a way of protecting Mr. Reagor and Mr. Dykes from having to file personal bankruptcy. The attorney for RD denied the allegation during the hearing and said the plan is meant to protect the community, not Mr. Reagor or Mr. Dykes. The judge said he needs more time to consider these issues. EverythingLubbock.com will provide an update when the judge makes a ruling.